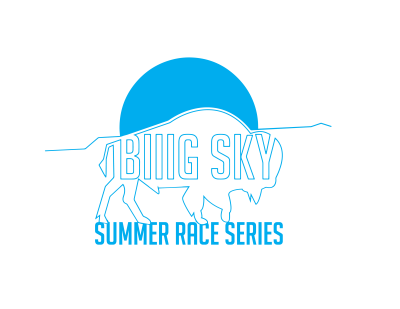 Billings Area Trail Runners and Montana State University-Billings Track & Field/ Cross Country present Biiig Sky Summer Race Series! A three race cross country style series held at the beautiful Dover Park!! Join us for three original and true cross country races in the distance range of 4-6 k. Challenge yourself or form your own 3-5 person team for the chance to win a unique traveling trophy! Plus, bragging rights for a year!! All the while vying for the overall male and female champion! Billings Area Trail Runners and MSU-B Track & Field/Cross Country present the first of three XC races at Dover Park!! Join us for a 5K (3.1 Miles) race showing off the beauty of Dover park. Local artisan Tiffany Miller designed, male bison head race tee. Printed on USA made poly/cotton tees. Tees are unisex sizing. Local artisan Tiffany Miller designed, female bison head race tee. Printed on USA made poly/cotton tees. Tees are unisex sizing. Tiffany Miller designed Patchwork Full Zip Sweatshirt. USA Made!! Each patch different and unique. Regular unisex poly/cotton blend shirt with race logo. One size fits most, foam front with race logo, trucker hat.